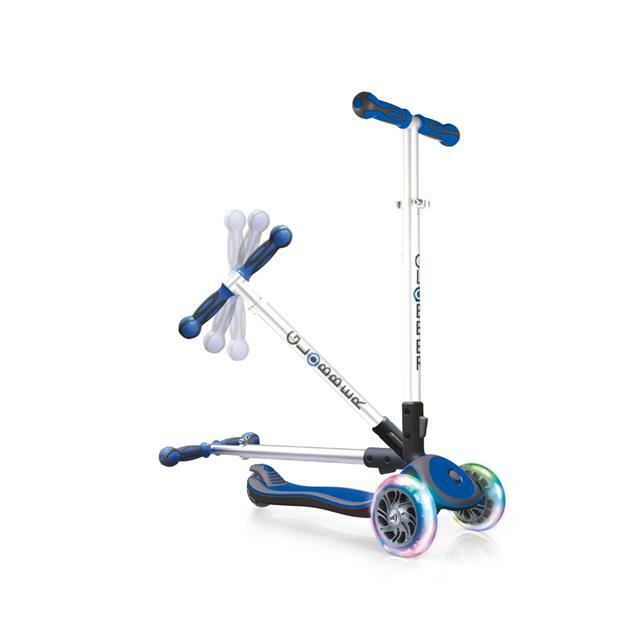 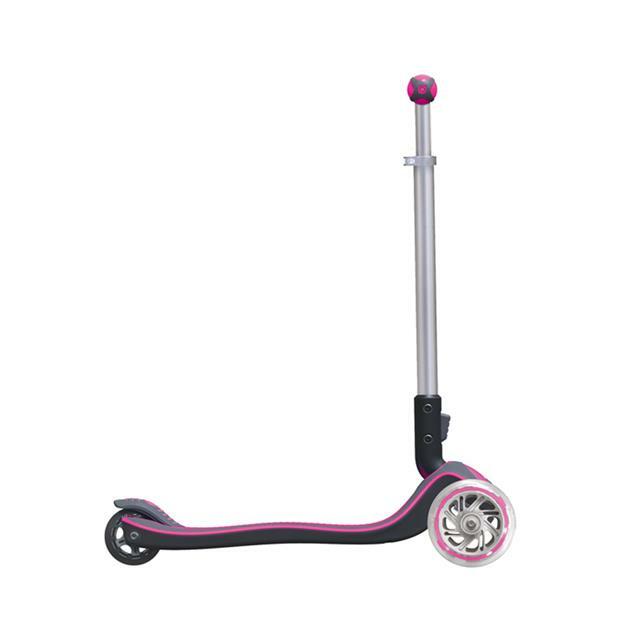 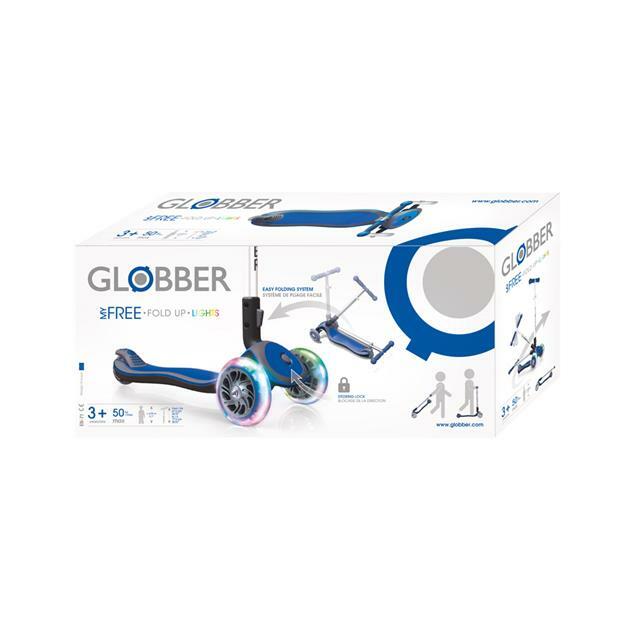 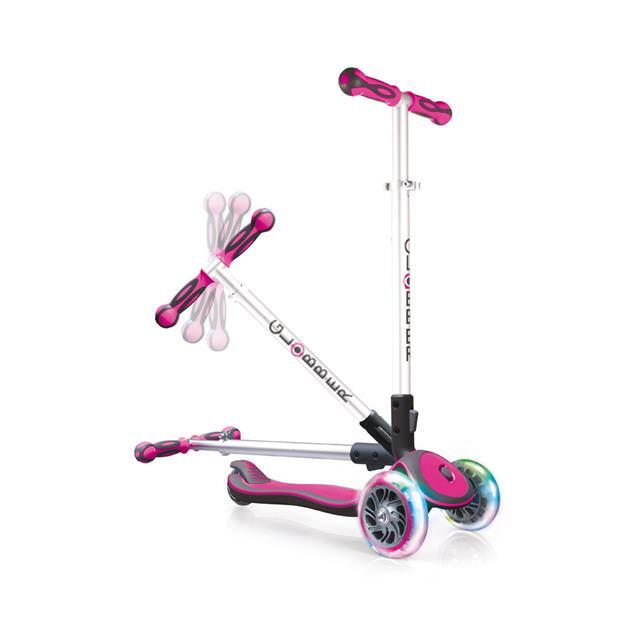 Globber ELITE is a 4-height adjustable scooter with extra-wide deck and rear brake for maximum comfort, stability and back-wheel longevity. 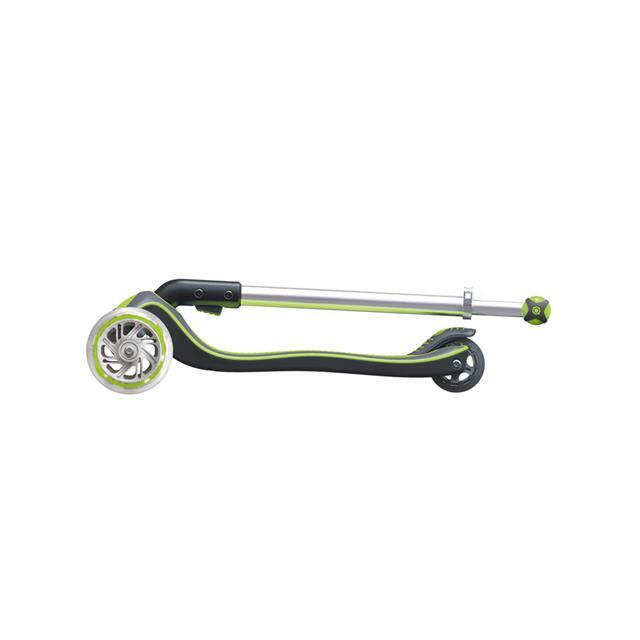 Easily store your ELITE scooter by the door or in the garage, thanks to the patented elliptic folding system. 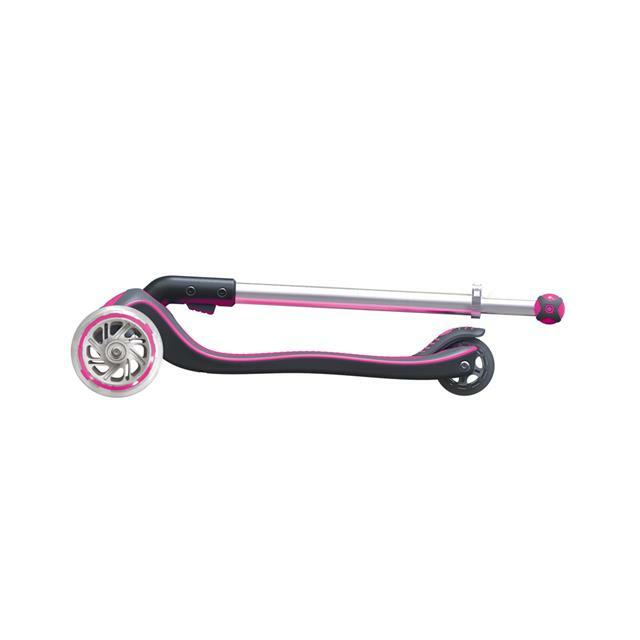 One press of a button is all it takes to fold our T-bar. 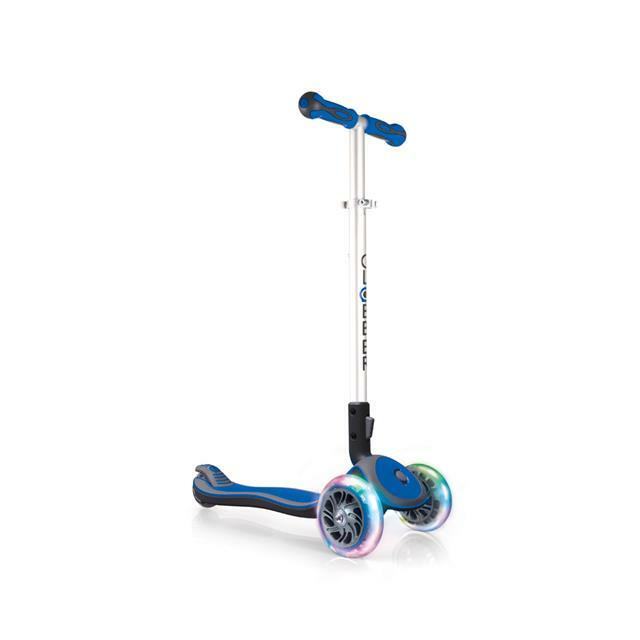 The light-up scooter wheels flash in red, green and blue while scootering. No batteries required. 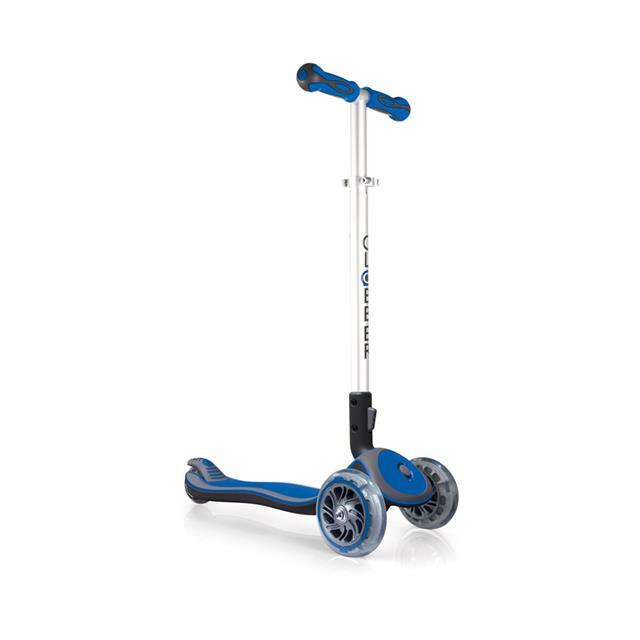 Min user height: 37.4"; Max user height: 63"